All brokers face unique challenges. Which is why our solutions are tailor made for you. 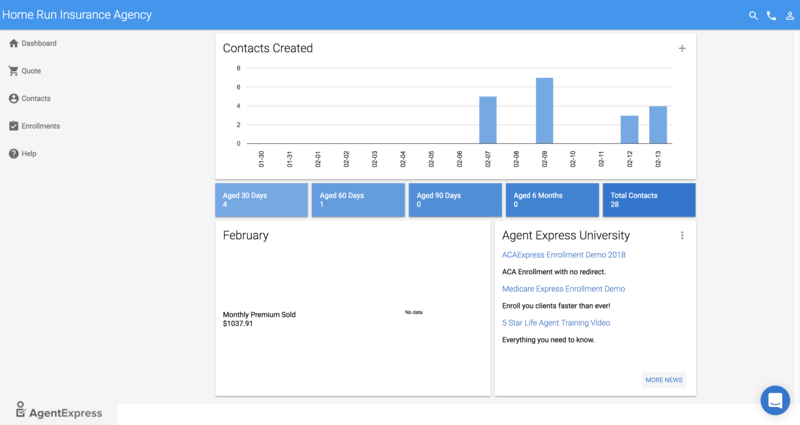 AgentExpress is not your typical quoting and enrollment platform. We've modernized the traditional CMS experience to set brokers up for success in the ever changing landscape of insurance professionals. A foundation of technology, training, and support differentiates our agents allowing them to create truly incredible experiences for their clients. Built with decades of experience in the insurance and technology space. 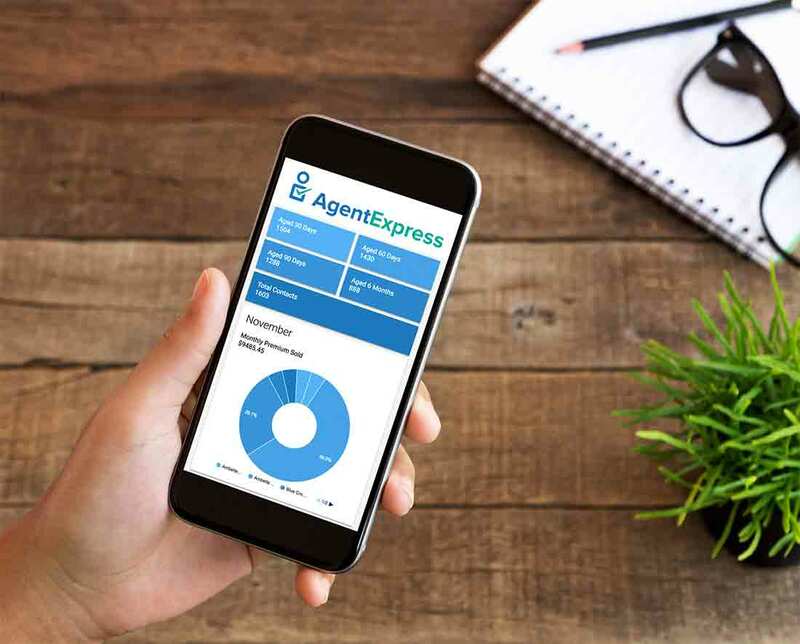 The AgentExpress platform is the industry leader in Medicare Advantage, MAPD, PDP, Medigap, ACA, Ancillary, and Final Expense Life quoting and enrollment broker technology solutions. Working with AgentExpress, you'll have a team dedicated to your success. 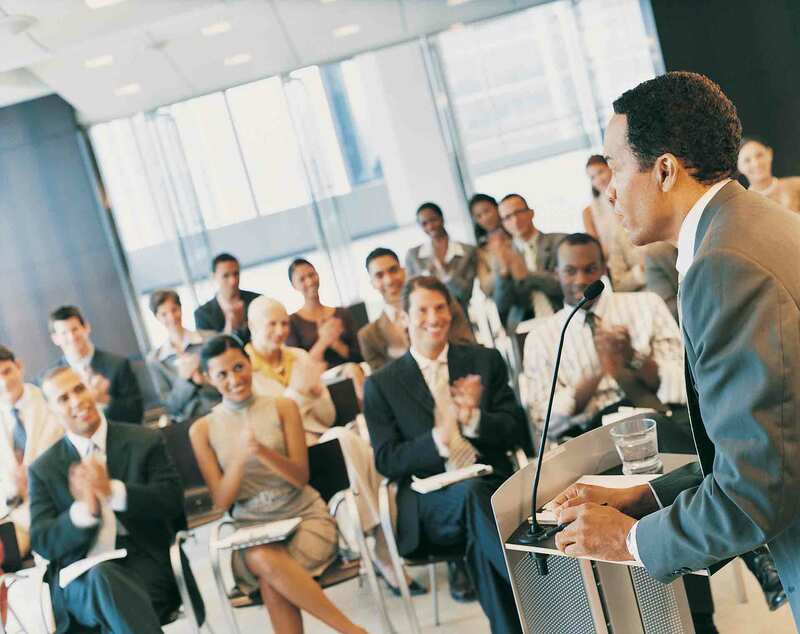 Grow your business with in-depth product, technology and sales training. Train with our team, attend our weekly webinars, or learn at your own pace with our industry first micro learning platform for insurance agents. 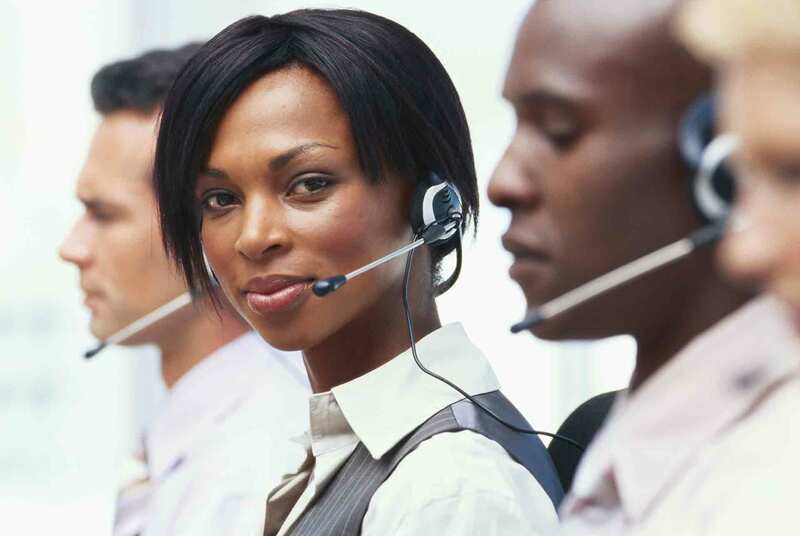 As an agent having all the technology and training in the world at your disposal won't help you if you don't have a devoted support staff that's there when you need it. The AgentExpress team is here for our agents, ask our experts about technology, products, leads, or post sale needs. Enhanced direct enrollment is the most advanced ACA quoting, enrollment and client management technology created to date. AgentExpress is hard at work on a full phase three implementation for the AgentExpress platform. EDE delivers agents, agencies and their consumers quoting, enrollment and support options previously unavailable. AgentExpress provides you with deep real-time analysis tools. Create reports, monitor agency production, track and reconcile commissions, and review policy enrollment statuses. Allowing you to identify problems before they start, increase efficiency, and achieve the growth your business deserves. Just a few of the solutions currently available to brokers. Best for established companies with 20+ employees. Best for small agencies and solo agents. Finally, a comprehensive, flexible solution for agents. Explore how easily the AgentExpress platform lets you streamline your workflow while helping your clients. 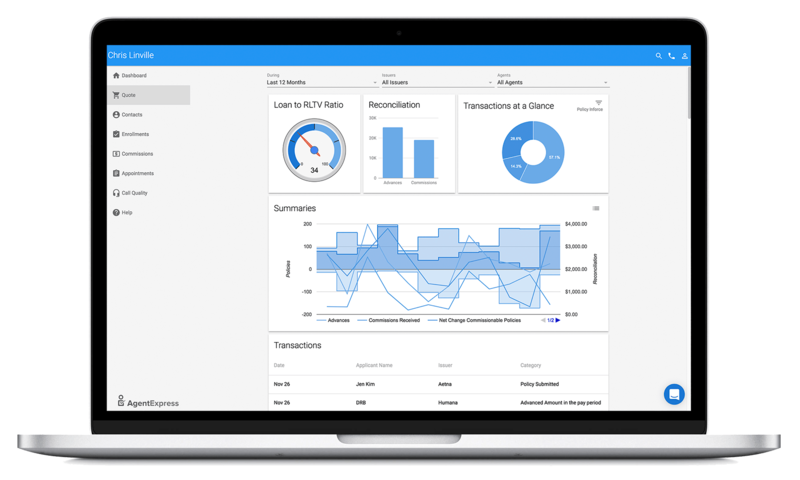 Track premiums sold by your agency in real time. Our team is standing by ready to help. Call now to speak with an AgentExpress specialist. Schedule time with an expert to discuss how the AgentExpress platform can help grow your business.